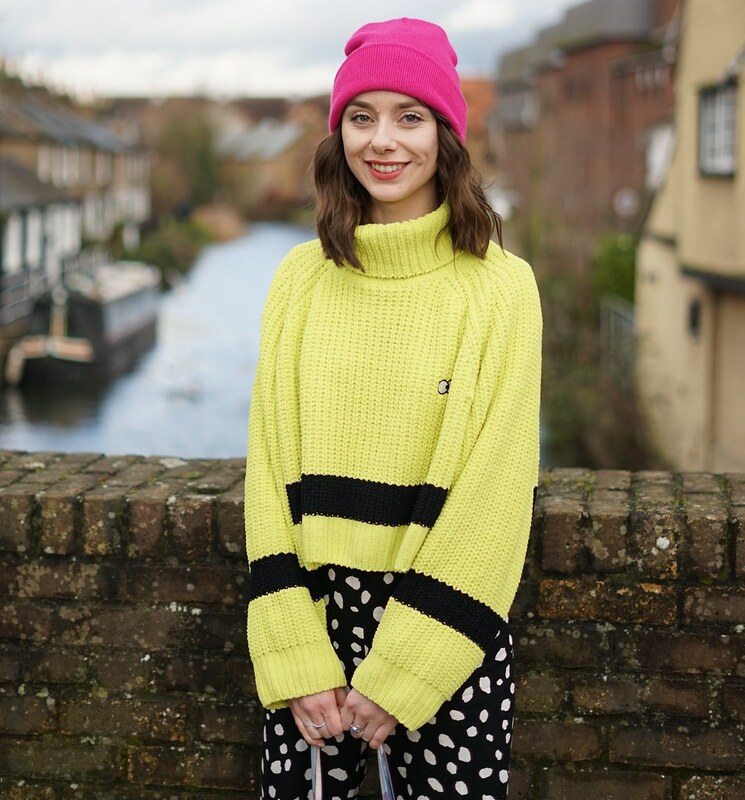 I'm thoroughly enjoying seeing some of the beauts on Instagram embracing the print clash (a favourite of mine) and it seems to be a popular combination at the moment to clash a spot with a stripe. I often pair these two older pieces from my wardrobe to clash for the ultimate lazy outfit. This time I have paired it with this bright, fluffy cardigan which my babe of a big sister bought for me. This dress is an old one but has been a staple piece in my wardrobe for years, you can see me rocking back in 2013. I still like to share older pieces because it's more realistic of what is in my wardrobe - we aren't all constantly wearing new things. I already have a tonne of striped things, mainly the classic striped tops from Monki, and I thought it were about time I looked at some more polka dots to clash with these striped. While browsing I have come across the the most beautiful spotty backpack! I've popped a few things which caught my eye below, but if you click on just one polka-dot thing today it needs to be the backpack, it's so cute!